Local search engine results on Google have been altered since the release of Pigeon in July, 2014. Pigeon is an update to Google’s algorithm as it alters the way local businesses are enlisted on the first page of search engine results. Pigeon has created a significant impact on local search engine results of Google. Nearly 4 out of 5 consumers of Google find out about local businesses and outlets. When someone searches for service or goods at a specific location using Google search, a small list of results specific to the location appears on the first page of Google’s search engine results. This small listing is known as Google local pack: it provides physical address and Google Maps to reach those places. Google’s Pigeon update has altered the way these local listings are displayed. The update in Pigeon algorithm would provide results that are more relevant local listings. With this update, local listing would be attached to high quality domains. A survey was conducted on 5000 location pages that provided information across different kinds of industries. The survey concluded that the update in Pigeon did not actually result in better search engine result pages (SERPs). With the update in Pigeon algorithm, the organic traffic had decreased. The conversion rate was also negative since the introduction of Pigeon’s update. With the introduction of this update, the association with strong domains was of prime importance. Pigeon’s update has benefited large brands having presence all over the country. For brands that had page authority of 55 or greater, the results were better. This indicates that national brands benefitted with a well-optimized website that was compatible with mobiles: location pages were clearly accessible on smartphones. Medium businesses would now need to build authoritative links. Now, owing to this update in Pigeon algorithm, location matters the most as Google search results with higher rankings were those that were close to the city center. In other words, proximity is now considered as search signal for online businesses. This means that the visibility for a new business is higher if it is located close to downtown city. 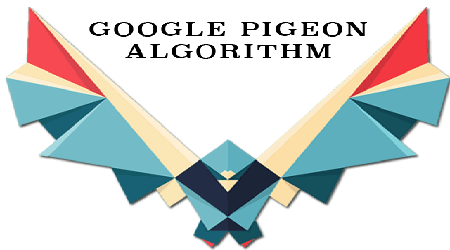 Over optimization of websites has been ruled out with the update of Pigeon algorithm. This means that local listing must only be attached to strong domains. Refrain from mentioning areas that are far away from downtown areas. Businesses must not be aggressive about listing the zip codes of areas to which they cater their services. This is because location matters with changes in Pigeon’s algorithm. It is important to understand how changes in Pigeon’s algorithm would affect the visibility of brands in local listings. Is Social Media a Lost Cause for Home Based Businesses?